Product #15750 | SKU 150-10019-100 | 0.0 (no ratings yet) Thanks for your rating! The Convergent Design USB 3 to SSD Data Transfer Adapter allows you to copy data from your SSD to a computer or external storage system via USB 3.0 connection. The unit features a SATA 2.0 interface, and supports transfer at USB 3.0 speeds as well as being backwards compatible with USB 2.0 systems. It is small, portable, and bus powered, so it does not require an external power source. The unit is intended for data transfer, and it is not designed to be used to play back or edit the footage from the SSD. Adapts available SSD to USB 3.0 for data transfer, not intended for play back, or edit use. 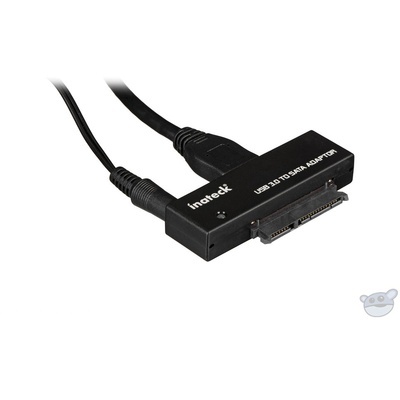 Supports both USB 3.0 and USB 2.0 protocols. Data transfer using USB 2.0 connection is slower than when using USB 3.0 connection. Easy to carry in a pocket, or kit bag.